The next original series from Nordic Entertainment Group (NENT Group) is kids series ‘Saga’s Stories’. 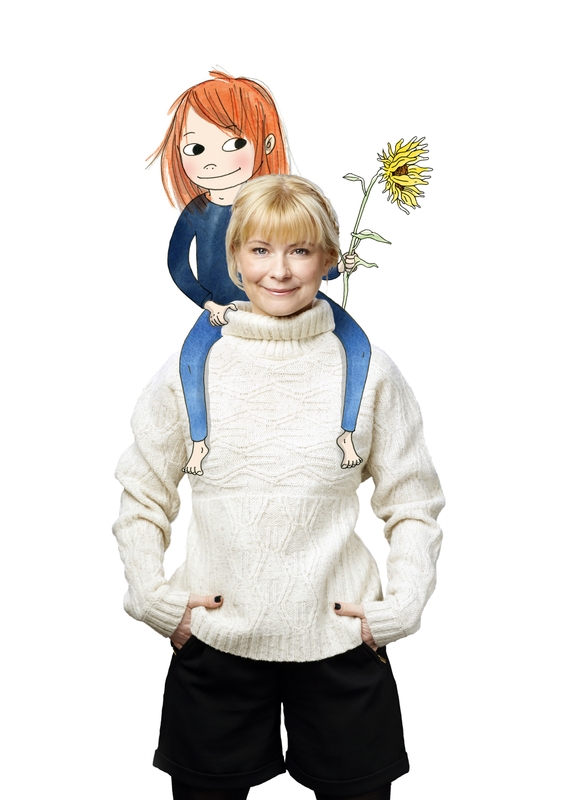 The 10-part animated adaptation of Josefine Sundström’s bestselling books will be available in Danish, Finnish, Norwegian and Swedish, and will premiere exclusively on NENT Group’s streaming service Viaplay in spring 2019. ‘Saga’s Stories’ (Swedish: ‘Sagasagor’), through its five-year-old lead character Saga Larsson, aims to present some of the challenges of growing up in an engaging and thoughtful way. Each episode takes visual inspiration from Emma Göthner’s original illustrations for the ‘Saga’s Stories’ books. The series is produced for SF Studios by Niklas Larsson. ‘Saga’s Stories’ is the latest original kids series from NENT Group after ‘Peppy Pals’ and ‘The Great Escape’ season one, which was named Children’s Program of the Year at Sweden’s Kristallen awards in 2017. The second season of ‘The Great Escape’ will premiere exclusively on Viaplay on 1 December. Viaplay also offers a wide range of kids programming from international brands such as Disney and Nickelodeon. NENT Group has over 50 original projects already available or in development. ‘Conspiracy of Silence’; ‘Couple Trouble’; ‘Rig 45’; ‘The Lawyer’; ‘Stella Blómkvist’; ‘ALEX’; ‘Couple Thinkers’; ‘Occupied’; ‘Hassel’; ‘Peppy Pals’; ‘Superswede’; ‘Veni Vidi Vici’; seasons one and two of ‘Swedish Dicks’; season one of ‘The Great Escape’; and season one of ‘Black Lake’ have already premiered. Recently announced originals include ‘The Inner Circle’; season two of ‘Black Lake’; ‘Cold Courage’; season two of ‘The Great Escape’; ‘Those Who Kill’; ‘Four Hands Menu’; ‘Hidden’; ‘Wisting’; ‘Pros and Cons’; and ‘Straight Forward’. NENT Group’s originals are increasingly reaching global audiences. ‘Veni Vidi Vici’ has premiered on premium US streaming service Hulu; ‘Swedish Dicks’ on Pop TV in the US; and ‘Black Lake’ on BBC Four and AMC Networks-backed Shudder. Nordic Entertainment Group (NENT Group) is the Nordic region’s leading entertainment provider. We entertain millions of people every day with our streaming services, TV channels and radio stations, and our production companies create exciting content for media companies around the world. We make life more entertaining by enabling the best and broadest experiences – from live sports, movies and series to music and original shows. Headquartered in Stockholm, NENT Group is part of Modern Times Group MTG AB (publ), a leading international digital entertainment group listed on Nasdaq Stockholm (‘MTGA’ and ‘MTGB’). NENT Group is proposed to be listed separately on Nasdaq Stockholm in March 2019.